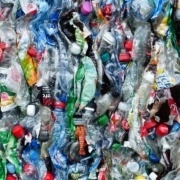 News, Plastic Urban Mining, What to do with plastic waste? Amsterdam, January 9, 2018 — Now that China has closed its doors to the import of plastic waste, plastic is piling up. As was predicted months ago, collectors are now stuck with their plastic because they can no longer export it. While eligible for recycling, much of this plastic waste is now being burned. The incinerators cannot deal with such high demand and the goals of the Netherlands to recycle 54% of consumer and industrial packaging will not be achieved. Up until January 1st, China imported much of the West’s plastic waste. The state has begun to regard plastic designated for recycling as undesirable pollution. This measure is part of the Chinese National Sword 2017 Campaign. It has become apparent that the Netherlands has never taken serious responsibility for its own waste, let alone the recycling thereof. 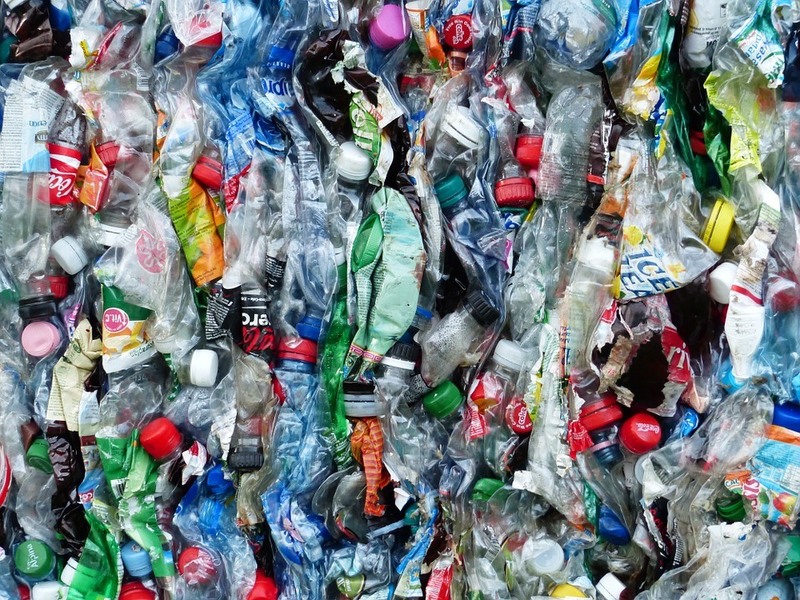 Heavy investments will be needed in order to enable the Netherlands to recycle its largely low-quality plastic waste and to make sure that it is not inferior in quality to new plastic made from petroleum. There is another way to get rid of plastic waste, and it is striking that this option is not mentioned in the media, for example by the NOS. This other option is simply a drastic reduction in the use of disposable plastic, especially for packaging purposes. Consumption-reduction is now single-handedly the most effective measure in the fight against litter and plastic soup. Where are the reduction policies? News, Plastic Urban Mining, What is plastic soup?, What to do with plastic waste? Since the massive introduction of plastic after the Second World War, 8.3 billion tons of plastic has been produced. Of this, 6.3 billion tons ended up as waste. Of this waste plastic, only 9% is recycled and 12% incinerated. The remaining 79% has ended up in dumps or in the environment. The worldwide plastic production rose from 2 million tons in 1950 to over 400 million tons in 2015. About half of this was produced only in the last 13 years. If the current trend continues, by 2050 there will be an estimated 12 billion tons of plastic in dumps and in the environment. 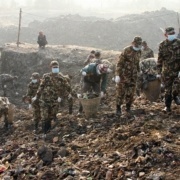 This is the first time that an estimate has been made of the world-wide production of plastic and what happens to it. The American research appeared in the journal Science Advances. None of the plastics that are produced at large scale degrade in the environment. Of the 9% that is recycled, only 10% was made from previously recycled plastic. Recycling may lengthen the time it takes for the plastic to enter the environment, but it does not prevent it. Recycling is thus not a real solution for reducing the plastic soup. Read more about this in our What to do with plastic waste? folder. Beat the microbead, Microbeads, News, Plastic Urban Mining, What to do with plastic waste? Amsterdam, 20 April 2017 – Not just the 5 world oceans are polluted by plastic. Parts of the Arctic Ocean are also full of it: up to hundred thousands of pieces per square kilometer. Researchers even speak of a sixth ‘garbage patch’ in the report that was published in scientific journal Science Advances earlier this week. In 2013 an international team of oceanographers went on an expedition to the polar region to map plastic pollution. They discovered that the pollution is not spread evenly. A large area of the water around the North Pole is practically plastic-free. This mostly occurs to the north of Canada and Siberia. However, the garbage concentration between Greenland and Nova Zembla is far greater than expected. The researchers estimate that around 300 billion pieces of plastic are floating in the Arctic Ocean. These are tiny pieces of plastic not much bigger than a grain of rice. 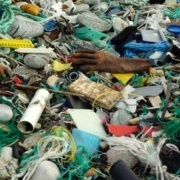 “Part of our own plastic ends up in the Artic Ocean,” said oceanographer Erik Sebille of Utrecht University in a dialogue with PSF director Maria Westerbos in a broadcast on BNR news radio today. Most of the Arctic plastic turns out to be from the Western world. Garbage that enters the ocean via the east coast of the United States and the west coast of Europe are carried to the polar region on the gulf stream. The findings correspond with computer models that predicted this effect before. 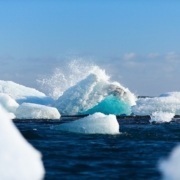 According to the employed ocean current models a reduction of the European plastic pollution could seriously reduce the amount of plastic in the Arctic Ocean. Most of the world does not have adequate facilities to process the huge amount of plastic waste being produced, causing the leakage of plastics into our environment. The 80% of plastic soup that comes from land is dominated by consumer waste, especially packaging. Landfills, dumps and incineration of garbage are the dominant ways countries manage their waste (Worldbank, 2016). This results in a destruction of valuable materials, land, ecosystems and affects public health. High collection and recycling rates decrease plastic litter from becoming plastic soup. Unfortunately most countries do not see the value of recycling or don’t have the capital to invest (and maintain) large scale recycling facilities. That’s why Plastic Soup Foundation introduces a new solution to tackle this worldwide problem: Plastic Urban Mining. With Plastic Urban Mining we help companies, educational institutions, governments and communities in the transition from a linear to a circular economy by managing the whole plastic cycle. From creating awareness & education to the development of products made out from the recycled plastic, Plastic Urban Mining is the all-in-one solution. 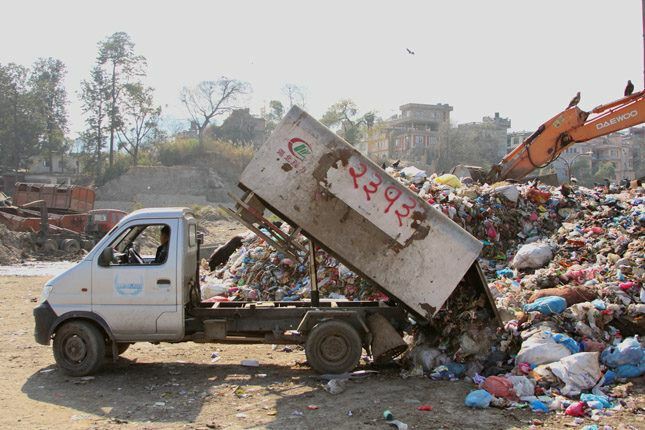 In 2015, PSF was invited by ICCO, The Karuna Foundation and the local government of Kathmandu to come to Nepal and explore the possibilities of Plastic Urban Mining in the capital. 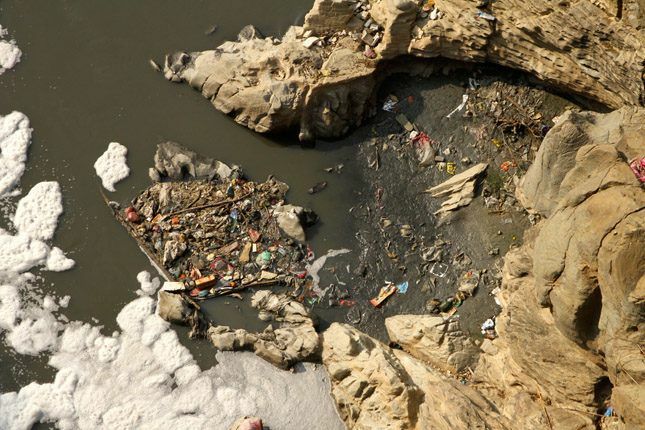 The Holy Baghmati River running through the heart of the city is polluted with plastic. Riverbanks are fully plasticized and there is no life in the river. There is a lively trade in trash and valuable plastics, but most of the plastic ends up in India for recycling. Plastic Soup Foundation is exploring possibilities together with local organizations to stop the plastic pollution and make the Holy Baghmati River clean again. This paradise has a waste problem, on land and in the sea. The east coast is flooded with plastic marine debris and the local dump for waste is taking up precious space. This small tropical island is known as “Diver’s Paradise”. Bonaire attracts divers, snorkelers, wind- and kite surfers from around the world. Yet this paradise has a waste problem, on land and in the sea. The east coast is flooded with plastic marine debris and the local dump for waste is taking up precious space. Together with Boneiru Duradero we are looking if plastic trash that’s now dumped, can be turned into cash for the island. Through recycling of local plastics, we want to produce local products that do not have to be imported anymore. This creates jobs, saves costs and saves the environment. These people are the heroes of Rio, as they make sure plastic garbage from the streets doesn’t end up in the water. Together with WWF Brasil we started our first mission of Plastic Urban Mining (PUM) in Rio de Janeiro. For years Rio has had problems with plastic marine debris in the Guanabara Bay. Over 50 rivers transport a mix of plastic garbage and sewage to the bay area. Our main goal with this PUM-mission is to support local garbage collectors. These people are the heroes of Rio, as they make sure plastic garbage from the streets doesn’t end up in the water. Plastic is collected and sold to a middleman. We want to empower the collectors by giving them the tools plastic recyclers use, only smaller. With the right tools they can start producing their own products, increasing their income and increasing the incentive to collect plastic from the streets. This blueprint is easily duplicable to other communities in Rio and a solution for getting the Guanabara Bay cleaner at the source. The plastic pollution problem our world faces is gigantic. There are multiple sources of plastic and multiple problems, while we haven’t got all the solutions (yet). At the Plastic Soup Foundation (PSF) we like to fight one source at a time. Microbeads in cosmetics (Beat the Microbead) and microfibers from synthetic clothing (Ocean Clean Wash) are two important sources we are currently working on. 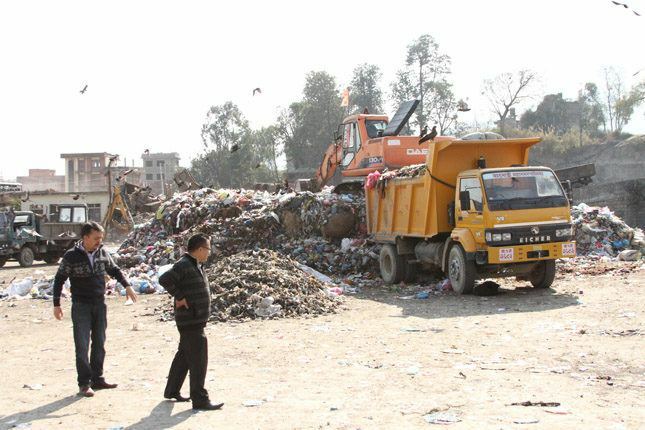 Another large-scale problem we have in our sights is bad waste management. Landfills, illegal dumps and litter are leaking plastic into our lakes, rivers and oceans. At PSF we have thought of an innovative solution for this problem. And we found the perfect place to test it: Bonaire. 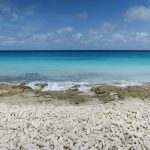 Bonaire is a tropical paradise in the Caribbean, close to the coast of Venezuela and a former Dutch colony that is now part of the Kingdom of the Netherlands. This small island, with only 18,000 inhabitants, has a pleasant trade wind that makes hot summers more bearable. While the marks of slavery are still visible, the island is now known as ‘Diver’s Paradise’. You basically park your truck alongside the road, grab your snorkeling or diving gear and explore the treasures of this island. The world above sea level is as beautiful as below. The flamingo, donkey and iguana are among many animals you can find in the rich nature of this ‘petite belle’. As one might expect, this archetype for a tropical island annually attracts many tourists from all over the world. 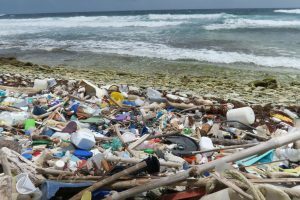 Bonaire also has something in common with most islands, countries, villages and cities around the world: People consume plastic. They wake up with it, they work with it, they eat with it and they sleep with it. For example: The island has perfect tap water, but the PET-bottles are lined up in the supermarkets. If you take a bottle, you probably get a few flimsy plastic bags to carry it. While driving around the island the effects of this plastic consumptive behavior were clearly visible. Drinking containers and plastic bags decorated parts of nature. Unfortunately this is also something that happens all around the world, disturbing, but nothing uncommon. Unfortunately we were in for a shock. Sorry, two shocks. The trade winds and currents hit the island on the east coast, while the west coast stays in calm water. The west has smooth beaches and calm waves, while the east has strong currents, big waves and a rocky coastline. While exploring the island, we were curious what the currents and winds would bring, knowing that there is a lot of plastic floating around in the oceans. We didn’t have to look far. Driving our jeep along the coastline we stumbled upon multiple ‘plastic soup beaches’. One spot was so polluted the plastic was piled up on the beach. Bottles, toys, containers, bottle caps, toothbrushes, fragments, microplastics were among a few product groups that could be found on that one spot. We were flabbergasted that this was all swept together by the brooms (waves) of the ocean. 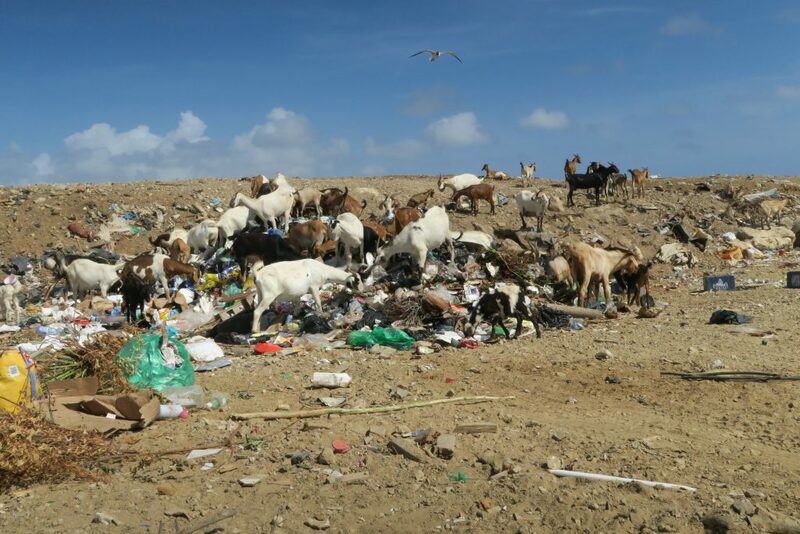 On Bonaire they created a final resting place for all the trash: a landfill. 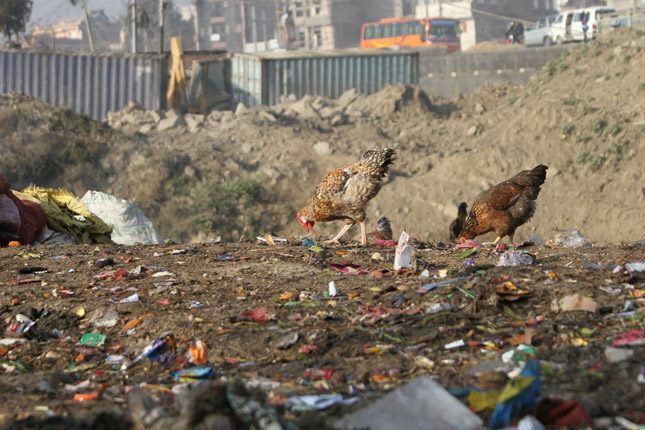 This is the most common way to get ‘rid’ of trash, all around the world. We were invited to come and see the landfill with our own eyes. We arrived at a large hill, covered in dirt, perfumed with Eau d’Trash. Underneath the dirt the plastic corpes, the consumer waste, were buried. As we reached the top of the 25-meter hill we found that lush nature, some houses and a lagoon surrounded the landfill. The wind grabbed a few plastic packages and dropped them off a few meters down the hill. Than a dump truck came with fresh consumer waste. As it unloaded, our jaws dropped because of the scene that unfolded in front of our eyes. Dozens of goats stormed towards the fresh waste, digging their heads in search of something to eat. It was a feast, where the hurdle munched on food scraps, paper and yes, plastic packaging. The crackling sound of plastic between their yaws still gives me shivers down my spine. Later we learned that goats are eaten on the island in the famous ‘Kabritu Stoba’ dish. We haven’t tasted it yet. A whole world of plastic problems exists on this one small island. It may sound sad and an impossible mission, but we thought this as the perfect opportunity for change. Most coastal cities, regions and countries have similar waste management problems and are all in search of solutions. If we can make a blueprint on how to stop the plastic problems from bad waste management, it can be copied all over the world. We call this blueprint Plastic Urban Mining. With Plastic Urban Mining we help companies, educational institutions, governments and communities in the transition from a linear to a circular economy by managing the whole plastic cycle. 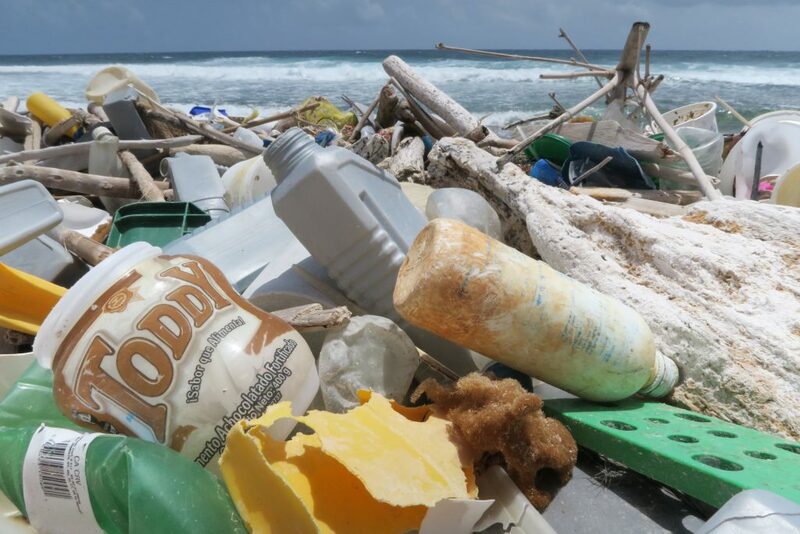 High collection and recycling rates decrease plastic litter from becoming plastic soup. From creating awareness & education to the development of products made out from the recycled plastic, Plastic Urban Mining is the all-in-one solution for every city, region and country. 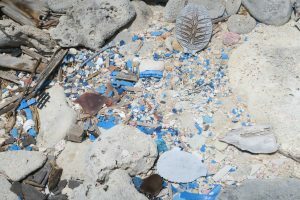 That’s why PSF teamed up with environmental NGO Boneiru Duradero and waste management company Selibon, both from Bonaire, to address the plastic problems, raise awareness among the inhabitants with the Trash to Ca$h project. This project is the first step towards an island that fully controls its plastic, from import to recycling. During the course of two weeks we’ve setup and joined some inspiring events, meeting great people who change the island for the better. Want to know what we did and whom we met? Follow us on Instagram and read our next blog soon! Stay tuned! The accumulation of garbage and waste attracts pests such as rats, mice, or, in this case, insects. 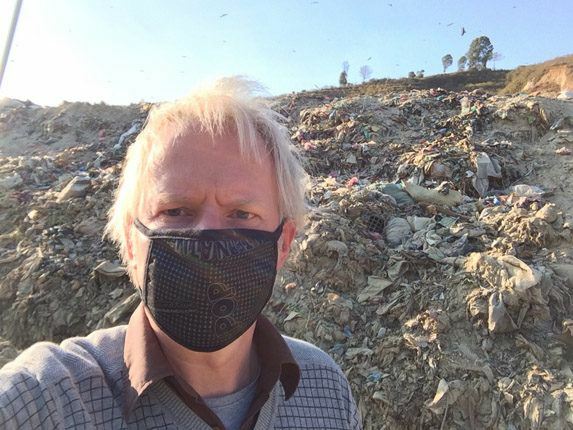 This is the opinion of the Dutch entomologist Bart Knols , who insists there is a clear link between waste—including plastics—and the spread of mosquitoes that cause Dengue, Chikungunya, and Zika. “When the mosquito made it across to the Americas, it adapted to breeding in small containers,” Knols explains. “Therefore, any piece of plastic that can hold rainwater is a potential breeding site: The more plastic waste lying around, the more breeding sites; the more breeding sites, the more mosquitoes; the more mosquitoes, the higher the risk of disease transmission,” he says. The accumulation of urban waste in countries like Brazil is especially worrying to the Plastic Soup Foundation. “Not only are the cities across the ocean at risk of experiencing the spread of the mosquito with the Zika virus,” Poolen says, “anywhere else where there are concentrations of waste and potential water reservoirs is in danger.” Bart Knols claims that the virus will eventually make its way to Europe. So far the virus is not carried by mosquitoes in Europe, however, 20 cases of people infected . They had all recently visited Suriname and contracted the disease there, which shows how imperative it is to find solutions to tackle the problem of urban waste in every country in the world. Poolen notes that it is important to take a look at the problem of litter found on the street: “How can we reduce the use of single-use plastic?” he says. “Reducing at the source saves a lot of trouble.” For this reason, Poolen believes there needs to be an incentive for people to pick up the plastics that end up on the street. Picking up PET bottles to be sold for recycling is already being done by waste pickers in various places, but Poolen asks an important question: Why sell the plastic waste for recycling when people could recycle it themselves? “That is what we do in the Plastic Urban Mining project: we give people the tools to recycle their own collected plastic, taking out the middle man, so they can sell directly to a recycler or make products themselves to be sold in local communities.” Poolen insists that this program will increase the value of the plastics on the streets and reduce the risk of plastic bottles becoming carriers of diseases. 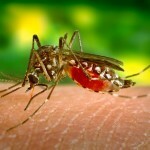 The Zika virus infection is caused by the bite of an infected yellow fever mosquito that originates in Africa where it breeds in small tree holes and leaf axils. To control the population of the so-called Aedes mosquito and to stop the further spread of infection, the World Health Organization (WHO) recommends the reduction of water reservoirs in flower pots, bottles, and containers that could collect water. In addition, abandoned car tires, caps from beverage bottles, and everything that can collect a layer of water should be picked up to avoid becoming mosquito breeding sites. The WHO also advises people to avoid the accumulation of garbage in open spaces and to cover domestic water tanks so that mosquitos can’t get in. The infected mosquito had spread across countries in Africa, Southeast Asia, and the Pacific Islands prior to 2015. In May 2015, outbreaks were registered in Brazil, followed by a series of outbreaks in other areas in Latin and South America since October 2015. The symptoms include mild fever, rash, conjunctivitis, and muscle pain. This is the same mosquito that transmits Dengue and Chikungunya. The outbreak in Brazil has led to increasing numbers of women giving birth to babies with microcephaly, a rare condition that involves the abnormal development of the brain in the womb and results in a very small head. The WHO has declared that the Zika outbreak is “a global public health emergency” and advises an integrated response involving action on several fronts such as health, education, and the environment. The Plastic Urban Mining project aims to create new local circular economies in developing countries. Rio de Janeiro is one of the main focuses of the program, where the Plastic Soup Foundation will carry out a program that involves innovative solutions to clean up the Carioca River—which ends up in the Guanabara Bay, where the Olympic Games will be held this summer.